The American engagement in Iraq has been looked at from many perspectives — the flawed intelligence that provided the war's rationale, the failed effort to secure an international mandate, the rapid success of the invasion, and the long ensuing counterinsurgency campaign. This book focuses on the activities of the Coalition Provisional Authority and its administrator. 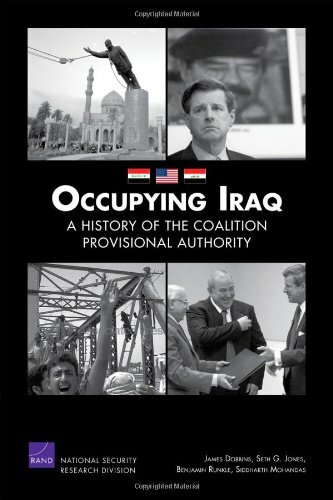 It is based on interviews with many of those responsible for setting and implementing occupation policy. A handbook for U.S. Policymakers interested in understanding the Islamic Republic of Iran. It synthesizes existing analyses on Iran and draws from non-American experts with a different interpretive lens for viewing the seemingly opaque Iranian system. Richard F. Burton was an English explorer, translator, writer, orientalist, poet, fencer and diplomat. He was known for his travels and explorations within Asia and Africa as well as his extraordinary knowledge of languages and cultures.